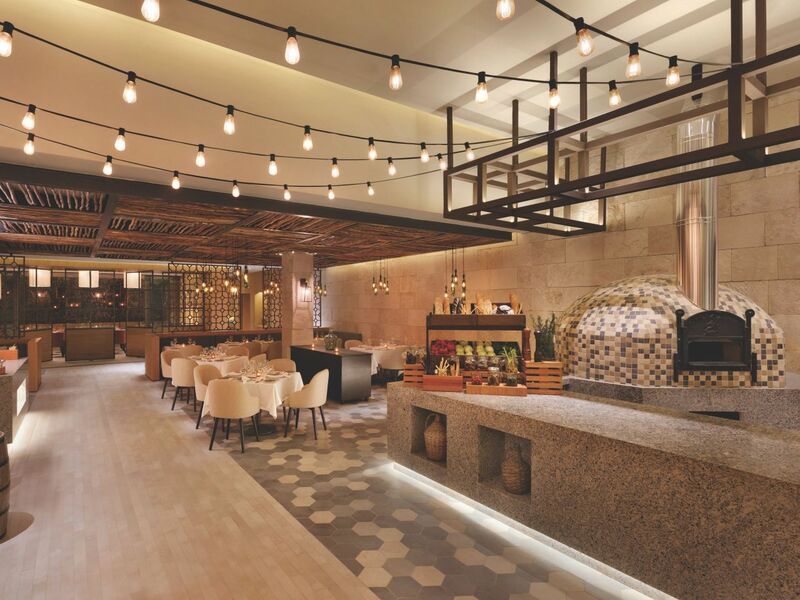 Hyatt Ziva Cancun offers a vibrant culinary scene at 17 restaurants, lounges and bars inspired by our internationally trained chef. 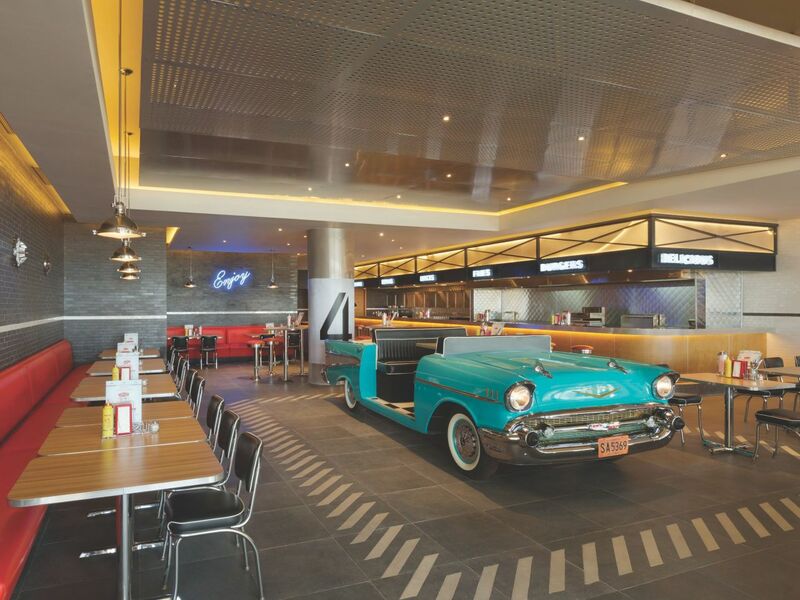 Savor French fare at the adults-only Bastille's, Asian cuisine at Moongate, Italian at Lorenzo's and American diner classics at Chevy's. 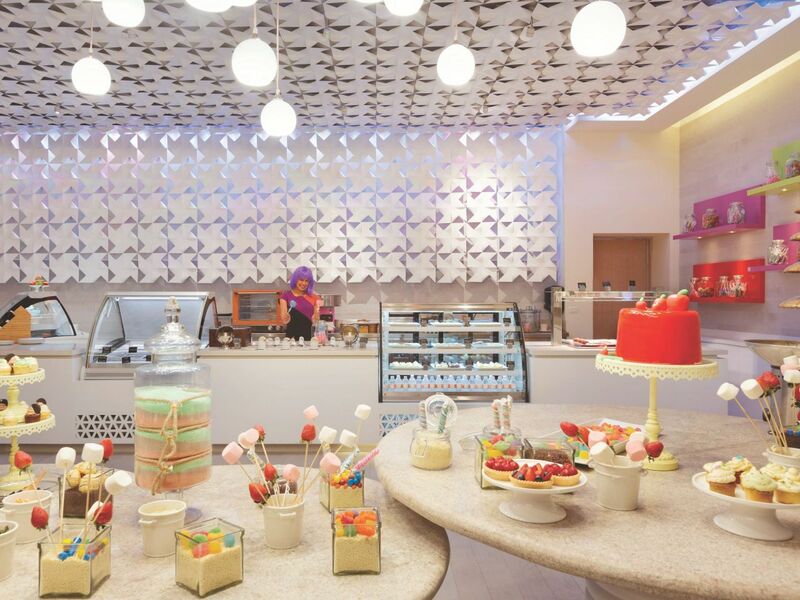 Brew your own artisan beer at Tres Cerveza's and let the kids go crazy at Pasteles, our contemporary dessert parlor. For a private family meal, enjoy chef-inspired dining in the comfort of your suite, available 24/7. Sophisticated ambiance and elegant French cuisine come together for the ultimate romantic dining experience at La Bastille. 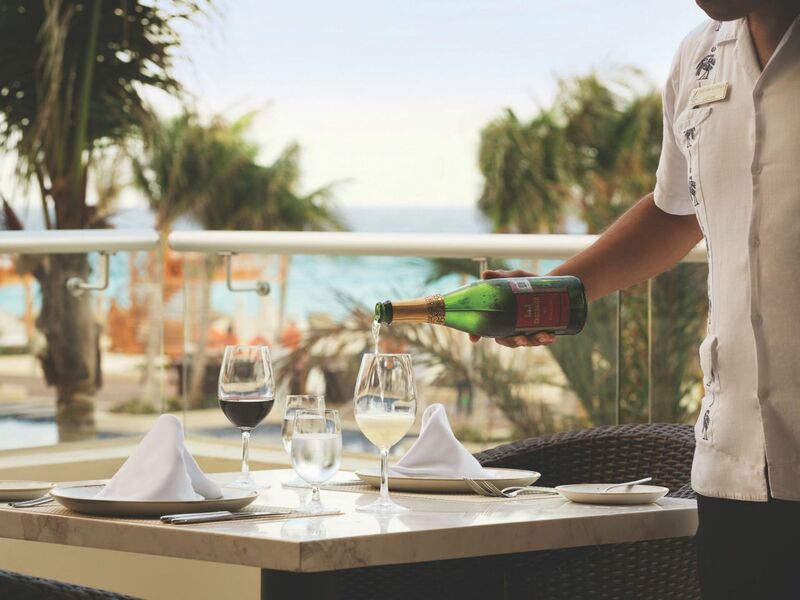 Exclusively for adults, our graceful Cancun restaurant transports you to the heart of France, where classically prepared dishes meet modern culinary flair. Resort Formal: Long pants, close-toed dress shoes and collared shirt (polo style or dress shirt) are required for men; casual chic for women. 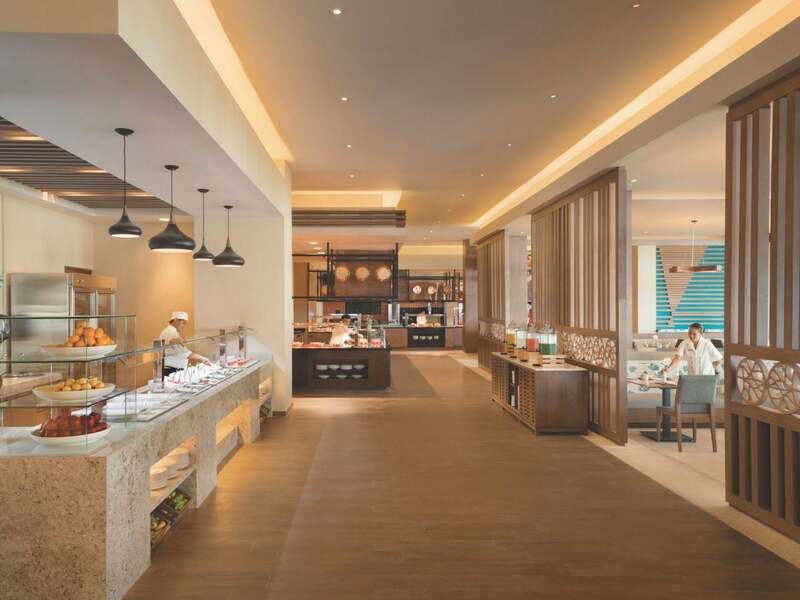 Taste the world at El Mercado, a gourmet buffet dining experience at Hyatt Ziva Cancun. Relax for breakfast, lunch or dinner to feel the fresh ocean breezes and dine on an endless variety of international dishes created for your dining pleasure. Lunch: 1:00 p.m. - 5:00 p.m. 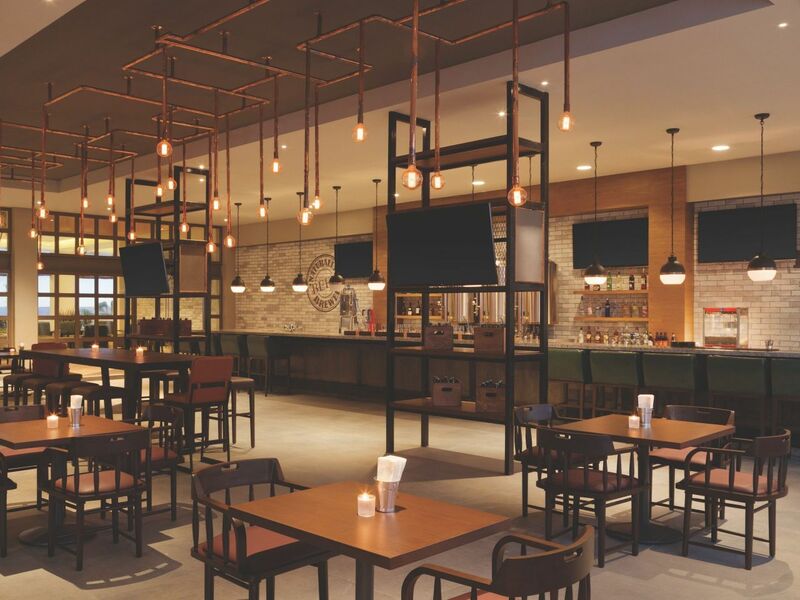 The open kitchen places you in the center of the action, to watch a spectacle of culinary magic and enjoy a dining experience that is more than just a meal. 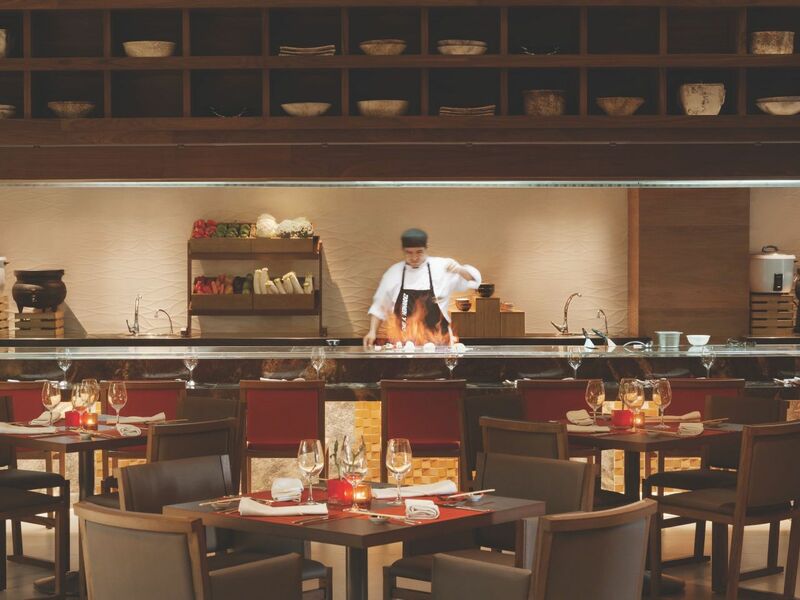 At our enticing teppanyaki grill, chefs entertain with culinary skills that transform basic grilled chicken, seafood, beef, and delicious sauces into world-class dishes designed to delight. Smart Casual - Dress shorts, dress sandals or close-toed shoes are required for men. No sleeveless shirts are permitted for men. Women require dress sandals. A relaxed grill by day and a classic steakhouse by night, Tradewinds is our signature oceanfront venue that’s open for breakfast, lunch and dinner. Lunch: 12:00 p.m. - 5:00 p.m. 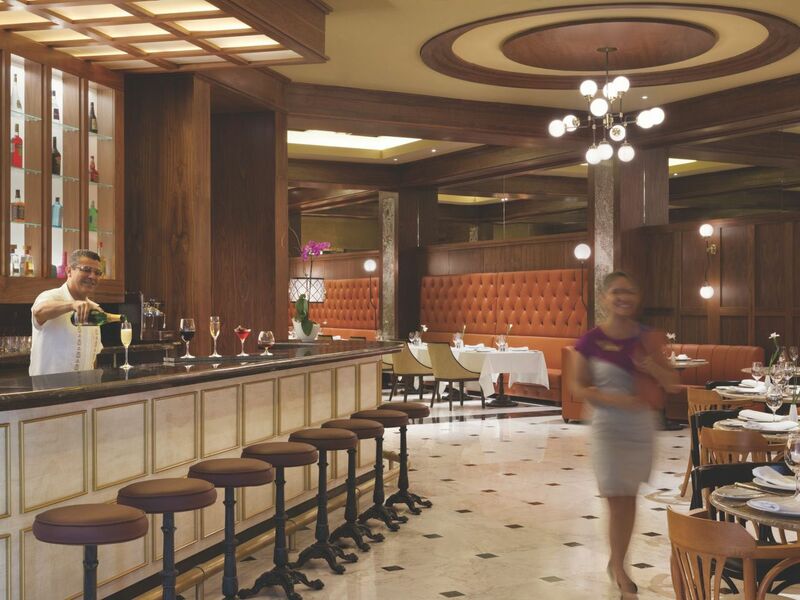 Discover traditional Italian cuisine, upscale service and an inviting ambiance at Lorenzo’s, where you’ll dine on trattoria-style favorites for lunch and elegant ristorante dishes for dinner. You’ll enjoy our casually elegant surroundings, complete with a distinctive wood burning stove and unique lighting. Dinner: Smart Casual - Dress shorts, dress sandals or close-toed shoes are required for men. No sleeveless shirts are permitted for men. Women require dress sandals. 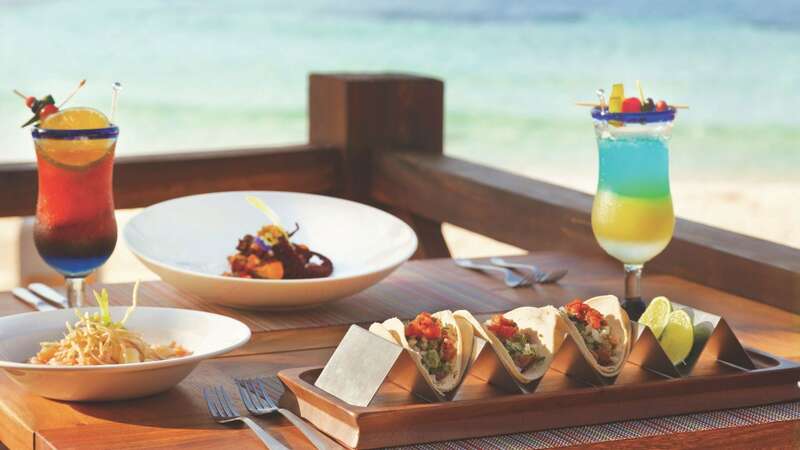 Mouthwatering tacos, fresh seafood ceviches, and zesty aguachiles are served right on the beach, where you can enjoy your meal and sweeping Caribbean views. Lunch: 12:00 p.m. - 6:00 p.m. Enjoy classic American fare including appetizers, sandwiches and burgers, and kid friendly favorites like chicken tenders and corn dogs. We serve up your favorite fizzy soft drinks and creative shakes made from premium ice cream. End your meal with a delicious sundae or tempting piece of cake. Pasteles dessert parlor is open daily for sweet sit down or take away sensations after lunch and dinner. Casa Café is a relaxed spot for coffee and conversation in Cancun. 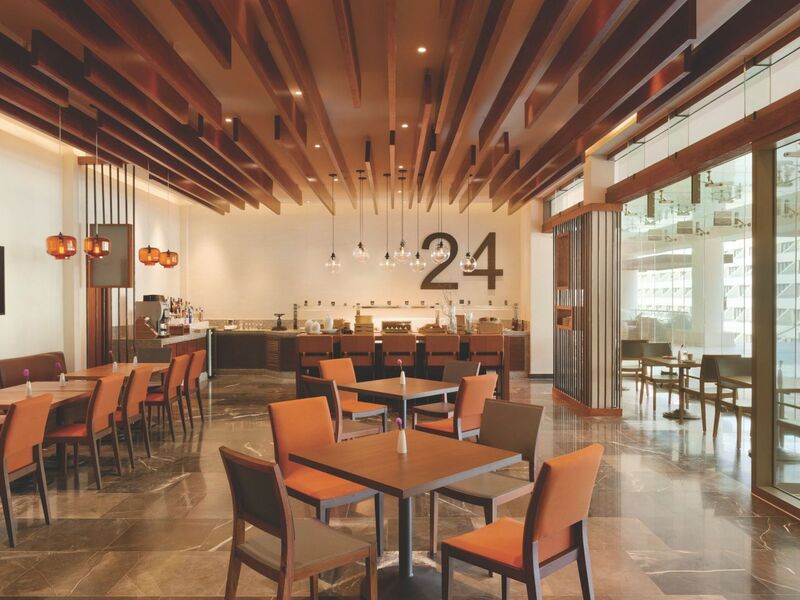 Sip on specialty coffee drinks and snack on scrumptious pastries while you unwind with friends or family in our cozy conversation nooks. 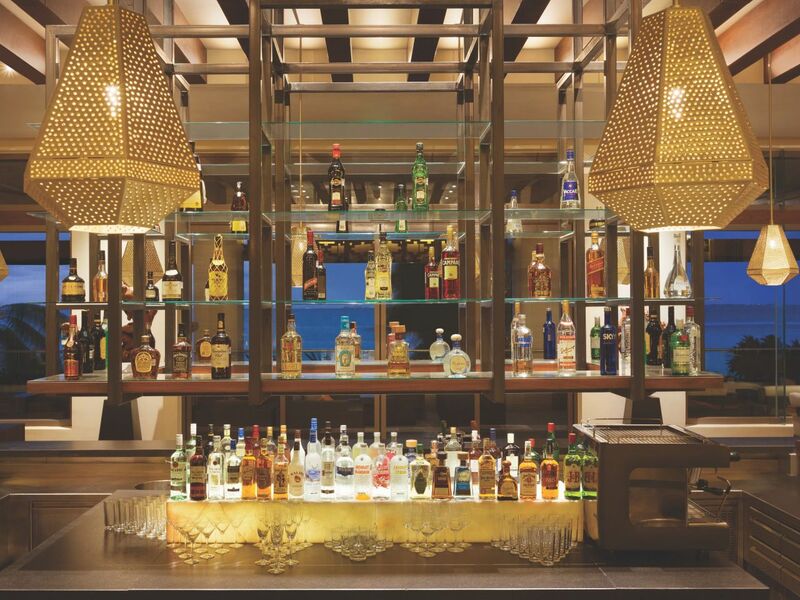 Get into the spirit of Mexico at Saasil Bar, our breezy lobby cantina inspired by Cancun’s Mayan heritage. 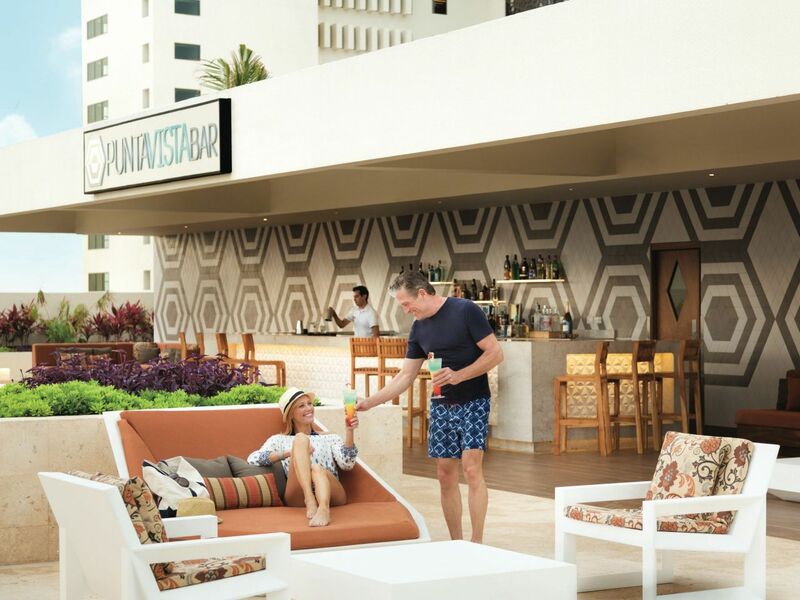 With inspiring ocean views and a menu of top shelf libations, you will find yourself relaxing with a signature cocktail or cold cerveza in our comfortable sofa seating areas or breezy outdoor patio chairs. Lunch: Smart Casual - Dress shorts, dress sandals or close-toed shoes are required for men. No sleeveless shirts are permitted for men. Women require dress sandals. 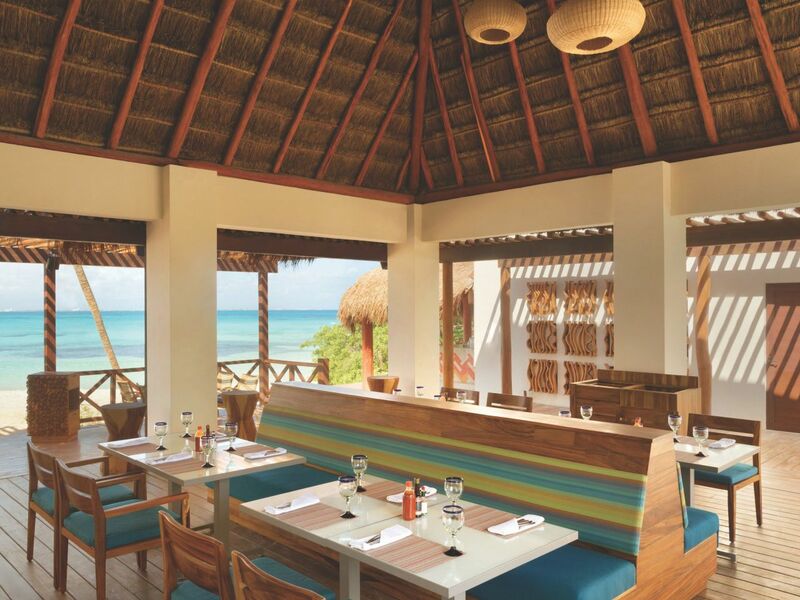 Get a taste of the real Mexico at our tequila bar – Juana Margarita, awarded Best All-Inclusive Resort Bar by Islands. 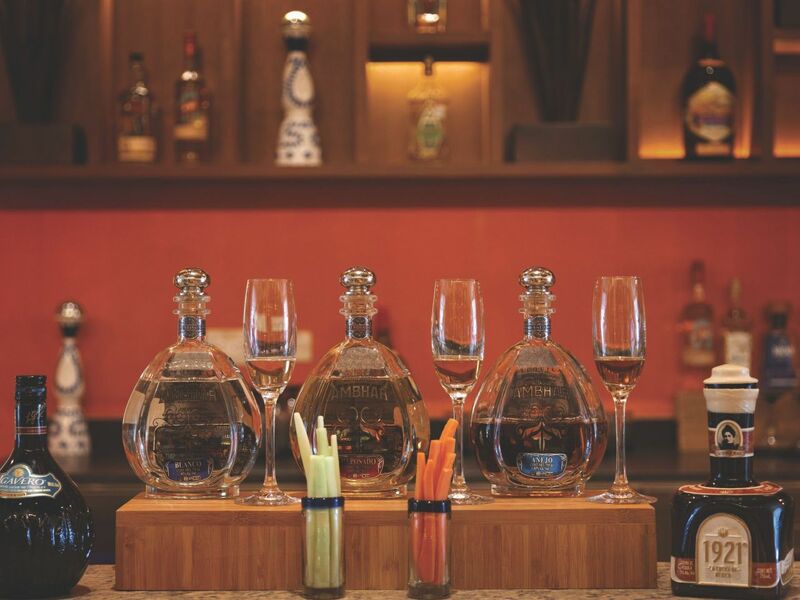 More than just a place for drinks, this casual bar offers tequila tastings, hand-crafted cocktails featuring the finest in Mexican tequila and a knowledgeable Tequilier on hand to teach you everything you want to know about the finer points of Mexico’s most famous libation. Our upscale microbrewery serves up a delicious choice of house made cervezas, with our talented brew master on hand to discuss the process and take you through a tasting flight of all the many flavors. Snack on our house made chili pepper and lime grilled corn or enjoy a menu of tasty small bites to complement your beer selection. Exclusively for adults staying in Turquoize, our adults-only experience features exclusive access and elevated privacy. 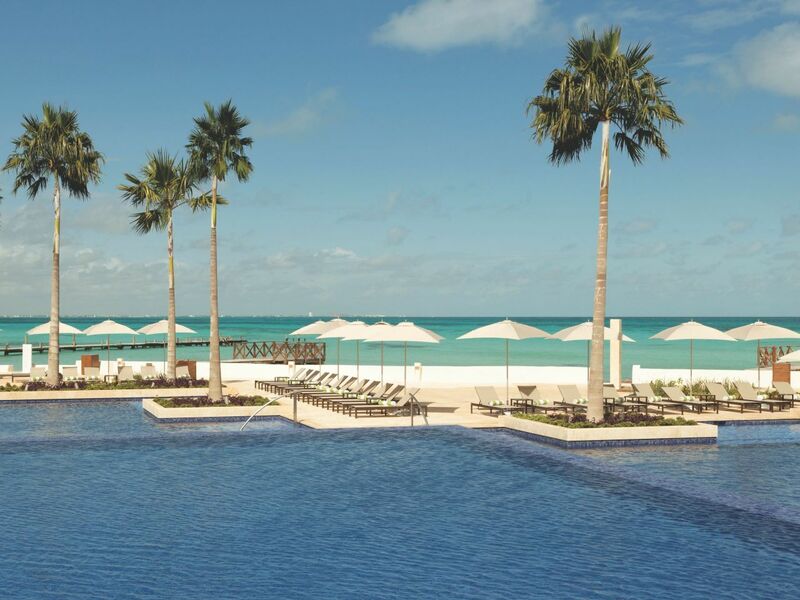 Punta Vista’s infinity pool is the perfect place for an afternoon drink, a pre-dinner cocktail or a relaxing nightcap. Swim-up to our poolside Dips & Sips Bar. 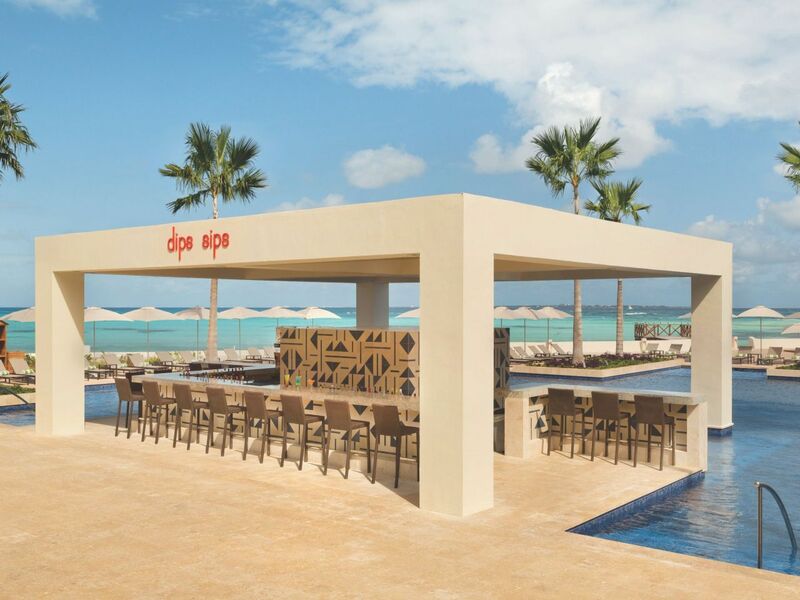 Take your Cancun vacation experience to the next level with vistas of brilliant blue waters stretching from the infinity pool to the ocean while you enjoy the sun and sea from our poolside party destination. 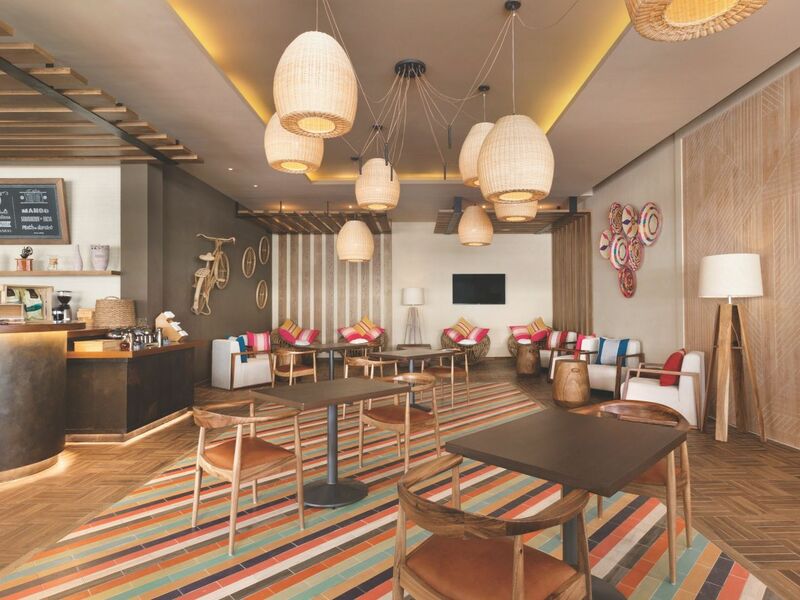 Enjoy a cool beverage and a snack in this lively lounge. Perched at the edge of the powdery white sands and clear blue waters of the Caribbean, our club level bar invites you to enjoy VIP treatment, creative cocktails and scenic views of our beautiful infinity pool.The Bar del Mar also offers a menu of delicious snacks and small plates to share as you overlook the infinity pool and ocean.